“What Infrastructure Assumes: Digital Humanities and Critical Infrastructure Studies.” The Graduate Center, City University of New York (CUNY), 15 February 2019. “Critical Infrastructure Studies — A Primer.” Initial talk of a pair of presentations by Alan Liu and James Smithies. Humanities Research Center, Rice University, 24 January 2019. “Open and Reproducible Workflows for the Digital Humanities–A 35,000-foot Elevation View.” Keynote at the Digital Bridges Symposium (Digital Bridges for Humanistic Inquiry project), University of Iowa and Grinnell College, 10 August 2018. “Romanticism and Critical Infrastructure Studies.” Introduction to seminar co-led with Jacques Khalip on “Romanticism and Critical Infrastructural Studies.” NASSR 2018, Brown University, 22 June 2018. “‘Humanities digital cultural tools . . . technology computing culture society’ — James Smithies’s The Digital Humanities and the Digital Modern.” Book Launch for James Smithies’s The Digital Humanities and the Digital Modern, King’s College, London, 29 March 2018. “Scoping Critical Infrastructure Studies.” Critical Infrastructures Studies Seminar, King’s College, London, 29 March 2018. “Open and Reproducible Workflows for the Digital Humanities–A 10,000 Meter Elevation View.” Digital Humanities in the Nordic Countries Convention 2018. University of Helsinki, 7 March 2018. Abstract: Can digital humanities projects that collect, analyze, and interpret texts and other materials make their provenance and data workflows transparent to others for reproduction or adaptation? How can the digital humanities learn from the workflow management systems of the “in silico” sciences? And how should they be different from the sciences? Ultimately, what is the combined humanistic and scientific meaning of open research–epistemological, infrastructural, institutional, and sociocultural–to which DH contributes? Extrapolating from the example of the “WhatEvery1Says” (WE1S) project, which he directs, Alan Liu offers a general humanistic vision of open, reproducible workflows for the digital humanities. Video of this keynote talk (35 min.) taken from the audience by Timo Honkela (@THonkela). “Introduction to Critical Infrastructure Studies.” Panel on Critical Infrastructure Studies, Modern Language Association convention, New York, 6 January 2018. Full-text of this introduction prepared in advance on Web site for the MLA session (minor additions at the event). “Digital Humanities Diversity as Technical Problem.” Modern Language Association convention, New York, 5 January 2018. “What Infrastructure Assumes.” The Futures of Literature, Science, and Media: A Symposium Honoring Professor N. Katherine Hayles. Duke University. 17 November 2017. Abstract: In this talk, Alan Liu sketches the context and current methods of “critical infrastructure studies,” then proposes a “verb first” way of discussing infrastructure that rethinks the nature of infrastructural agency and its mode of “being” in the world. Infrastructure is assumed, but it also assumes. “WhatEvery1Says About the Humanities.” Panel on “What Crisis? : Mobilizing the Humanities Through Data.” National Humanities Conference, 3 November 2017, Boston. “Overview: Open, Shareable, Reproducible Workflows for the Digital Humanities.” Panel on “Open, Shareable, Reproducible Workflows for the Digital Humanities: The Case of the 4Humanities.org ‘WhatEvery1Says’ Project.” Digital Humanities 2017 conference, 11 August 2017, Montreal. “Critical Infrastructure Studies.” University of Wroclaw. 28 June 2017. “Open, Shareable, Reproducible Workflows for the Digital Humanities: The Case of the 4Humanities.org ‘WhatEvery1Says’ Project.” University of Sussex. 29 March 2017. Abstract: Can digital humanities projects that collect, analyze, and interpret texts and other materials make their provenance and workflow transparent to others? Can such workflows be shared for reproduction or adaptation? How can the digital humanities learn from the workflow management systems of the “in silico” sciences? And how in this regard should they be different from the sciences? Using as example the in-progress “WhatEvery1Says” (WE1S) project he leads (which is topic modeling articles mentioning the humanities in newspapers), Alan Liu offers a general vision of open, shareable, and reproducible workflows for the digital humanities. He also speculates on what is at stake from the viewpoint of humanists more broadly. “Toward Critical infrastructure Studies: Digital Humanities, New Media Studies, and the Culture of Infrastructure.” University of Connecticut, Storrs. 23 February 2017. Abstract: In an era when complexly “smart” and hybrid material-virtual infrastructures ranging from the micro to the macro scale seem to obviate older distinctions between material base and cultural superstructure, how can the digital humanities and new media studies join in an emergent “critical infrastructure studies”? What are the traditions of such studies? What is the topic’s scope? What are some especially high-value areas for intervention by digital humanists and new media scholars/artists? And how can digital scholars in the humanities and arts collaborate with digital social scientists taking up similar matters? In this keynote talk, Alan Liu considers the hypothesis that today’s “cultural studies” is a mode of critical infrastructure studies. “Digital Humanities and Critical Infrastructure Studies.” DHU2 (2017 Digital Humanities Symposium Utah. University of Utah. 10 February 2017. “‘Wild Surmise’: How Humanists and Artists Discovered the Internet at UCSB, c. 1994 — An Origins Story.” University Library, UC Santa Barbara. 13 June 2017. Abstract: How did humanities and arts computing start at UCSB in the era of the beginning of the Web? How did our campus become one of the early leaders in scholarly use and study of the Internet by humanists? In this talk, Alan Liu provides a glimpse of the origin of his Voice of the Shuttle Web site for humanities research, the UCSB Many Wolves Authoring Collective, the Ultrabasic Guide to the Internet for Humanities Users at UCSB, the original Humanitas.ucsb.edu server, the first department-based server in the humanities, and other greatest hits of the very, very early online era at UCSB. What did the world look like in 1994 from the perspective of humanists browsing on a 2400-baud modem with Lynx and Mosaic? “The Digital Humanities: A Window on Tomorrow’s Structures of Humanities Knowledge.” Mellon Foundation, New York City. 2 November 2016. “Infrastructure.” Penn State Center for Humanities and Information, Pennsylvania State University. 28 October 2016. “WhatEvery1Says About the Humanities — Digital Humanities Methods for Understanding and Making a Difference in Public Perception of the Humanities.” Dartmouth College. 20 September 2016. Abstract: Drawing on research and advocacy conducted by the 4humanities.org initiative that he founded, Alan Liu discusses the contemporary public perception of the humanities, methods of using digital research and communications to develop effective humanities advocacy, and the broader question of the future of humanities disciplines. Part of the talk focuses on the in-progress 4Humanities “WhatEvery1Says” project, which uses topic-modeling and other digital methods to study a large corpus of articles about the humanities in the media with the aim of assisting the humanities in reframing the debate. How does data mining newspapers, magazines, etc. help put in perspective the themes–some might call them “memes”–declared in headlines about the decline of the humanities, the crisis of the humanities, etc.? “From Cultural Studies to Infrastructure Studies? (Digital Humanities and Critical Infrastructure Studies).” Dartmouth College. 20 September 2016. “What Infrastructure Means to Me.” Interrogating Infrastructure Symposium, King’s College. 8 July 2016. Detailed agenda, speaker list, and notes on discussion at the symposium. “The 4Humanities WhatEvery1Says Project: Initial Work and Future Plans.” SyncDH, University of California, Santa Barbara. 27 May 2016. “Practice and Theory of ‘Distant Reading’ — An Introductory Workshop on Digital Humanities Methods.” University of San Francisco, 1 March 2016. 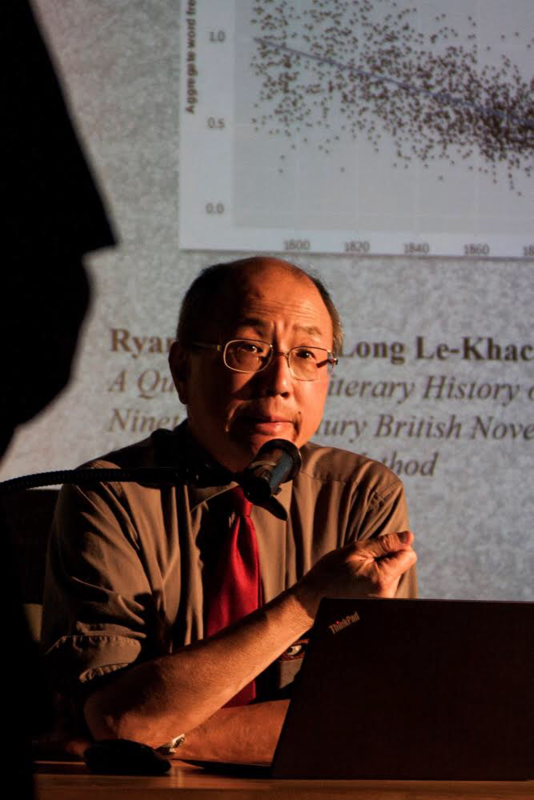 Abstract: Drawing on research he directs for the 4humanities.org initiative, Alan Liu discusses the sociocultural context and digital-humanities methods involved in 4Humanities’s ongoing study of public discourse on the humanities. How does data mining and text analyzing large repositories of newspapers, magazines, etc., (e.g., through “topic modeling”) help put in perspective the themes–some might call them “memes”–declared in headlines about the decline of the humanities, the crisis of the humanities, etc.? What is the larger, ambient field of discourse about, and by, humanists behind those headlines? For example, what does it mean that obituaries, wedding announcements, and similar least particles of journalistic media, mention the association of people with humanities education, fields, or institutions? What does the “heat map” of hot discourse about, but also cool background radiation from, the humanities look like? Abstract: Starting with a talk by Alan Liu on his experience teaching the digital humanities in his Literature+ classes and other digital humanities classes (and on the larger issues of “hybrid pedagogy,” “MOOCs,” and “EdTech” in the background), this workshop is a chance for participants to think together about the future of teaching in the humanities. There are many past practices and formats of teaching that humanists have idealized—e.g., the tutorial on the “Oxbridge” model, the Socratic method or “dialectic” in a classical sense, the seminar, or, put in its most normalized modern mode, “class discussion”—even while humanists are caught up in such dreary antitheses to their ideal as large lecture courses titled “Introduction to …” regimented by teaching-assistant-led sections, patrolled by plagiarism-catching algorithms, and so on. How will humanist pedagogical ideals and practices adapt to the digital age? What is the relation, for example, between a Socratic seminar and either “hybrid pedagogy” or a MOOC with augmented peer-to-peer interactions? Abstract: Following up on the question asked in the title of his 2012 essay “Where is Cultural Criticism in the Digital Humanities?”, Alan Liu will present drafts from a book that imagines modes of cultural criticism–in particular, critical infrastructure studies–appropriate and native to the digital humanities. His talk focuses on the role of technology infrastructure in (and between) neoliberalism’s major “knowledge work” institutions (including higher education). Can digital humanities research and development be redirected from being primarily instruments of institution work to becoming also ways to act on institutions and their wider social impact, in part through intelligent and ethical interventions in infrastructure? How do specifically digital humanities research and teaching infrastructures fit in that enterprise, which resembles but differs from “enterprise technology systems”? 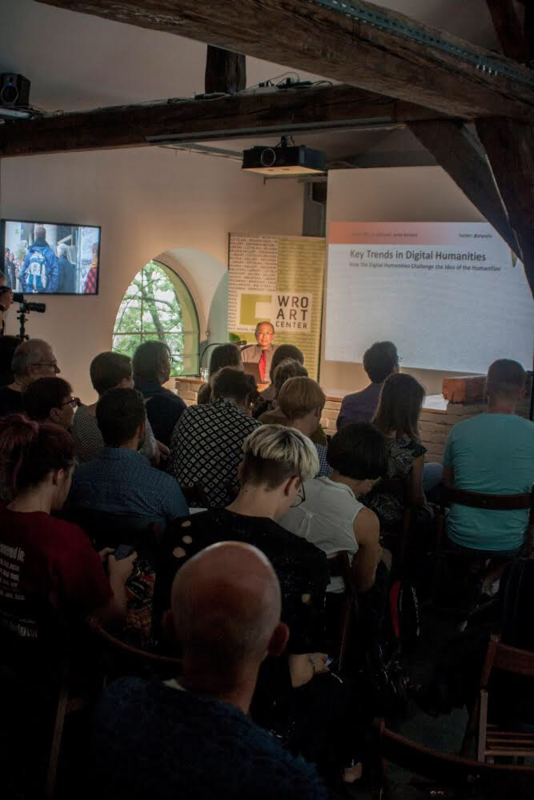 “Key Trends in Digital Humanities – How the Digital Humanities Challenge the Idea of the Humanities.” Siberian Federal University, 25 September 2015. “N + 1: A Plea for Cross-Domain Data in the Digital Humanities.” Siberian Federal University, 21 September 2015. Abstract: In experimenting with text analysis, machine learning, visualization, and other methods, digital humanists often study materials collected from specific segments of the human documentary record–for example: a study corpus consisting just of one of the following at a time: novels, poems, letters, newspapers, historical maps, crime records, political speeches, etc. Such corpora also tend to be tuned to the specific domain of a scholar’s expertise (e.g., novels of a particular century and nation). 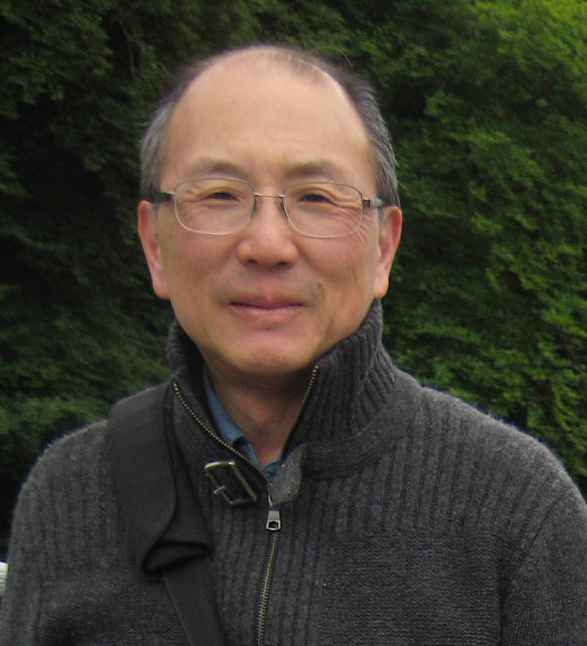 In this short, speculative talk, Liu asks: what could be gained methodologically and theoretically by deliberately hybridizing domains–for example, pairing any two or three kinds, periods, or nationalities of materials in a controlled way? What would be involved, in other words, in giving digital humanities corpora some of the mixed quality of their uncanny doubles (alike yet dissimilar): “archives” in the strict sense and “corpora” in the corpus linguistics sense? The talk concludes with a presentation of aspects of the 4Humanities.org “WhatEvery1Says” research project (topic modeling public discourse about the humanities) that bear on the theme of cross-domain knowledge. “N + 1: A Plea for Cross-Domain Data in the Digital Humanities.” Keynote Panel on “Data, Corpora, and Stewardship,” Digital Humanities at Berkeley Summer Institute, University of California, Berkeley, 17 August 2015.